(Jan. 31 at 10:45PM) The Commissioner of Public Safety, as authorized by the Governor, has announced that state agencies may temporarily reduce services beginning at 12:01 a.m. February 1 until 11:59 p.m. February 1 for the following counties: Canadian, Cleveland, Lincoln, Logan, McClain, Oklahoma, and Pottawatomie. State employees designated to maintain basic minimum services (staff essential functions) should remain at work or report to work as scheduled. 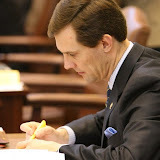 House Speaker Kris Steele today announced the appointment of a bipartisan House Redistricting Committee, which will oversee the redrawing of state and federal legislative lines during the 2011 legislative session. The Tulsa World is reporting that State Superintendent Janet Barresi is requesting that Attorney General Scott Pruitt investigate the possibility that board members violated the State's open meeting law. I noted in my statement last week that, "Clearly they (the board members) had organized this effort before yesterday’s meeting in a pathetic attempt to embarrass Superintendent Barresi." I'm aware that Tim Gilpin has been attempting to frustrate Barresi beginning soon after the elections. Gilpin was reportedly a financial contributor to Barresi's opponent. It's important that we not allow a few sore losers to negatively impact such an important agency. State Superintendent of Public Instruction Janet Barresi said the scores come just as Oklahoma students are entering a new testing period for NAEP, beginning this week and running until March 4. Barresi urged the more than 300 Oklahoma schools selected for NAEP testing to ensure that teachers and parents understand the critical importance of the exams. The science assessment is administered to a sample of students from each state by the National Center for Education Statistics (NCES), which is an arm of the U.S. Department of Education. NAEP measures students‟ knowledge and abilities in the areas of physical science, life science, and Earth and space sciences. Only 28 percent of Oklahoma fourth-graders scored at “proficient” or “advanced,” while only 24 percent of eighth-graders scored at the same levels. In each case, Oklahoma scored four percentage points below the national average. Nationally, less than one-third of U.S. elementary- and high-school students have a solid grasp of science, according to the NAEP scores. The Nation‟s Report Card: Science 2009 Grades 4, 8, and 12 is available at www.nationsreportcard.gov. More materials are at www.nagb.org/science2009/. NCES previously released 2009 NAEP scores in reading and mathematics for the state and nation. Those results also indicated Oklahoma students are trailing their peers nationally and reflected low proficiency rates. During a discussion on the possible hiring of a woman expecting her first child at yesterday’s meeting, board member Herb Rozell referred to the woman as being “worthless” because of her pregnancy. Billy noted those comments appeared to violate employment discrimination laws. The board refused to hire Jennifer Carter as chief of staff, even though Carter is an attorney with a higher level of educational attainment than her predecessors. 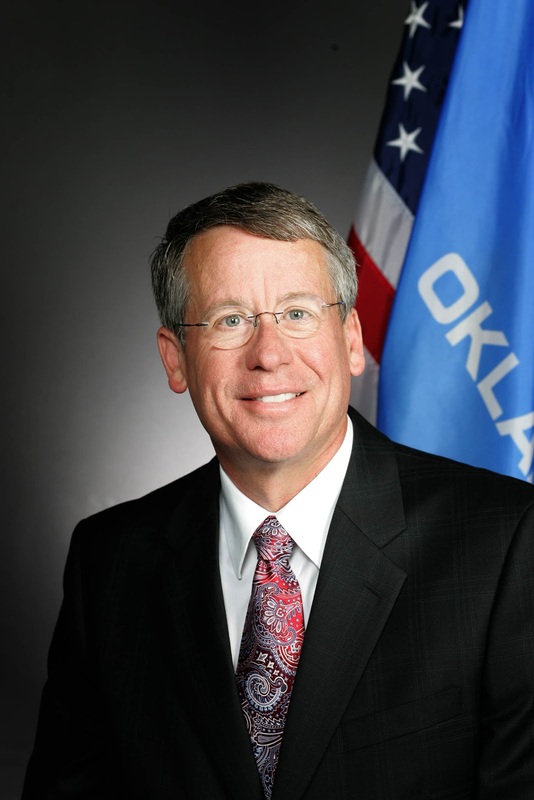 Carter previously worked as Assistant Insurance Commissioner for Government Relations for Democrat Insurance Commissioner Kim Holland and as Director of Legal Services/Government Relations for the Association of Professional Oklahoma Educators (APOE). In that position, Carter mediated and filed grievances on behalf of teachers and represented educators at board hearings and in lawsuits. Board members also refused to hire Jill Geiger for Director of Finance even though she was most recently a Deputy Director of the Division of the Budget at the Office of State Finance with six years experience in state education finances. “No one can argue with a straight face that these women are not well qualified,” Billy said. “It appears to me the board’s actions were based on sexist views of women, and had nothing to do with job duties. 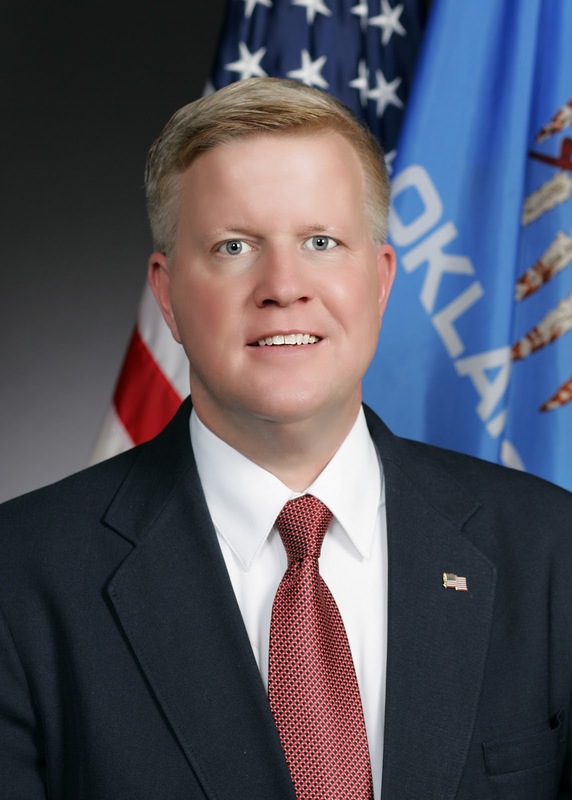 State Rep. David Brumbaugh (R – Broken Arrow) said today he would support a review by House Speaker Kris Steele into the actions of several State Board of Education members during their January 27 meeting with State Superintendent Janet Barresi to determine if legislative action is needed. “The lack of civility and inappropriate comments by several of the State Board of Education members does not represent what the public should expect of our officials,” Brumbaugh said. Brumbaugh noted that he was in the audience at an event in 2010 sponsored by the Broken Arrow Chamber of Commerce to discuss State Question 744 where State Board of Education Member Tim Gilpin was speaking. He noted that debate was stopped by the moderator before its conclusion because Gilpin engaged in a similar type of inappropriate conduct and comment as seen at the State Board of Education meeting. State Rep. Jason Nelson (R-Oklahoma City) issued the following statement today on the actions of the State Board of Education during yesterday’s meeting. “I’ve listened to nearly two hours of a recording of yesterday’s state board of education meeting. I can only describe it as disturbing. “I'm stunned by the board members' appalling behavior at Dr. Janet Barresi’s first board meeting as our newly elected State Superintendent. I’m not surprised by Dr. Barresi's professionalism under fire. It only serves to confirm she is the right person for this job. “Listening to the recording you hear a few members of the board attempt to provoke Dr. Barresi with constant harassment and interruptions over the course of five hours. Clearly they had organized this effort before yesterday’s meeting in a pathetic attempt to embarrass Superintendent Barresi. That plan backfired. Two of the board members in particular played the classic school yard bully. “I can’t help but wonder if other board members were embarrassed or even intimidated by the disgraceful actions of board members Tim Gilpin and Herb Rozell. At one point a member of the board indicates that she supports approving the hiring of an individual recommended to the board by Dr. Barresi only to hear Mr. Gilpin overpower the conversation and blurt out a motion to the opposite effect. 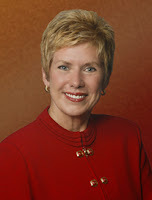 It's now public record that they underestimated Dr. Barresi and that they are not fit to continue serving on the board. 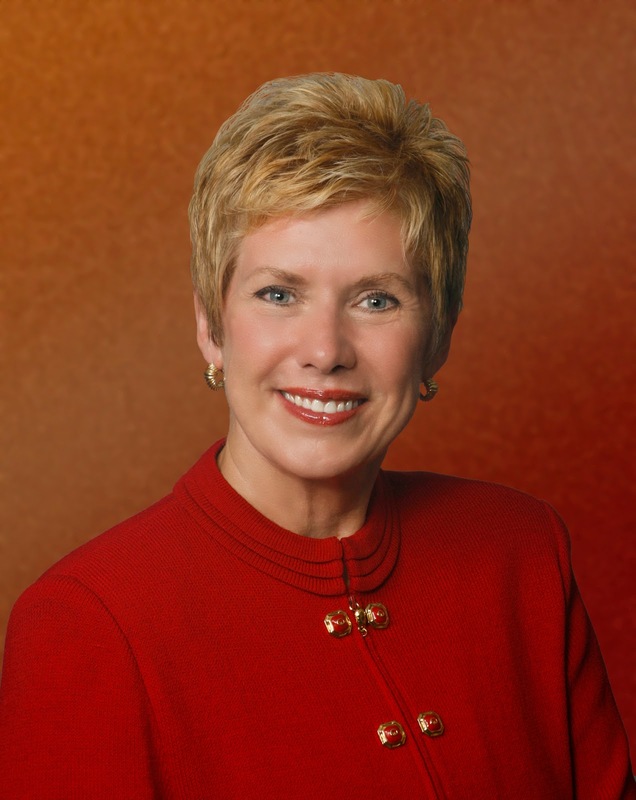 State Rep. Sally Kern has asked Attorney General Scott Pruitt for a formal opinion concerning assertions by some public school officials that scholarships supporting special needs scholarships are subject to federal taxation. Meanwhile, an attorney with the controversial Tulsa law firm of Rosenstein, Fist and Ringold has directly rebutted the conclusion reached in a CapitolBeatOK news storythat the firm was “apparently” directing public school clients to tell parents they faced such taxation. “I would like to request an opinion concerning an issue that has arisen because of the Lindsey Nicole Henry special needs scholarship Bill. “It has come to my attention that school districts are asking for W-9s from the parents of the students using this scholarship. This scholarship money should be non-taxable. 1) Is this scholarship money taxable? 2) Does a school district need to send a W-9 to the parents utilizing this scholarship? “My name is Jerry Zimmerman and I am the tax partner with the law firm of Rosenstein, Fist and Ringold (‘RFR). I had an opportunity to read your article that was published on Jan 25th in CapitolBeatOK, with respect to the taxation of the Lindsey Nicole Henry Scholarships. I am also making the assumption in responding, that RFR is the controversial law firm to which you refer in your article. “Please allow me to provide you with the facts. When RFR has been requested by its school district clients to analyze the tax reporting matters concerning the scholarships, the task of responding to those requests has been assigned exclusively to me. “In fact, I have specifically and unambiguously advised the school districts that have requested advice, that the school districts are NOT required to issue forms 1099 to the recipients of the scholarships. We have never been asked by any of our clients to issue an opinion, nor have we ever rendered an opinion, as to whether the receipt of the scholarship proceeds is a taxable event. I suspect that we have not been asked to issue such an opinion because our clients are the school districts as opposed [to] the recipients of the scholarship awards. House Speaker Kris Steele today announced that he will form a special bipartisan committee to investigate the allegations that led to state Rep. Randy Terrill being charged with felony bribery. Q: How much will this lawsuit cost? A: The districts involved in this lawsuit have agreed to share in the cost, and should other districts join in the lawsuit, the costs will be further divided. With only the four districts participating, it is estimated that this lawsuit will cost $1.56 per student over the course of the suit. Current enrollment for the four districts is 42,638: Jenks, 10,371; Union, 14,931; Broken Arrow, 16,732; and Liberty, 604. They were not willing to stay the course and continue to ignore HB 3393 because board members would have been required to pay their own legal bills in any legal action brought by the Attorney General. Evidently it's a lot cheaper to sue the Attorney General and to charge it to the students. Some local public school officials who are opposed to implementation of the Lindsey Nicole Henry Scholarships for special needs children have told parents seeking to access the historic new program that benefits are subject to federal taxation. Attorneys for some parents have told CapitolBeatOK that in a few cases have been issued 1099s and told they must report the value of the scholarship as income. The assertion about taxation of the benefits appears contrary to public policy, and has apparently been made at the direction of a controversial law firm that represents the majority of Oklahoma’s public school districts. “This effort to confuse and raise doubts about the program in the minds of parents is not new. This specter was raised during the debate on House Bill 3393 during the 2010 legislative session. “It seems parents were led to believe that the Lindsey Nicole Henry Scholarship Program is a Qualified State Tuition Program - which are 529 college savings accounts. Lindsey's Law is not a 529 college savings account. · You use the scholarship or fellowship to pay qualified education expenses. b. A program of training to prepare students for gainful employment in a recognized occupation. “Eligible educational institution. An eligible educational institution is one that maintains a regular faculty and curriculum and normally has a regularly enrolled body of students in attendance at the place where it carries on its educational activities. This and related information can be viewed in full context here. For further information, visit here. According to the McCarville Report Online, Senator Judy Eason McIntyre of Tulsa has announced that she will retire from the Senate at the end of her current term in two years. State Rep. Jabar Shumate has reportedly said he will run to fill Sen. McIntyre's open seat. "Whoever thought up this no brainer law needs to be booted from office for good and sent for a mental evaluation!" School superintendents will ask their boards to take legal action against the Attorney General to prevent him from enforcing the law; Will also ask boards to comply with the law until the courts determine the constitutionality of HB3393. When: Today, February 24, 2011, at 3:00 p.m.
Where: Union Public Schools Education Service Center, 8506 E. 61st Street. In the first floor Board of Education Room. Why: To announce action to be recommended regarding compliance or non-compliance with House Bill 3393, a new state law requiring districts to pay tuition scholarships for special education students whose parents choose to send them to private/religious schools. Today is the deadline Oklahoma Attorney General Scott Pruitt gave the four districts to respond to his January 18 letter threatening action against the districts and individual Board members if they choose not to comply with the new law. The legislature’s web site includes legislative bill tracking information, copies of all versions of bills, committee reports, daily agendas, meeting notices, calendars, statutes, and an array of useful information. This information is available on the web site earlier than it is available by paper copy and is free to the public. Several features have been added to the system this year. The most exciting and helpful feature may be the automatic email notification of actions on bills you are tracking. This link http://oksenate.gov/news/listen.htm will allow you to watch and listen to the demonstration. NOTE: Any action shown with a date after today's date is an anticipated action and may be subject to change. The four school districts that earlier voted to not comply with House Bill 3393 have scheduled board meetings for Monday to revisit their decisions. The agenda item on the four meeting notices are virtually identical. "Motion, second to motion, discussion and vote to adopt or not adopt a course of action, as recommended by the District's Superintendent of Schools, or to take such other action as may be deemed appropriate, as a response to the demand letter to the District of January 18, 2011, from E. Scott Pruitt, Attorney General of the State of Oklahoma, with regard to the District's compliance with HB 3393 a/k/a the Lindsey Nicole Henry Scholarships for Students With Disabilities Act." The board meetings are in response to a letter sent to each district by Attorney General Scott Pruitt earlier this week directing them to comply with the law and warning them that if they don't, "I will take such legal action available to me as Attorney General of Oklahoma as appropriate to enforce the requirements of the law." OKLAHOMA CITY – State Question 744 could not have reached the ballot if legislation filed today by state Rep. Pat Ownbey had been in place. Ownbey said state questions like SQ744 are an attempt to trick voters. OKLAHOMA CITY (January 20, 2011) – State House and Senate leaders today announced the formation of a special joint committee to develop immigration reform proposals. The group will include four members each from the House and Senate, as well as Attorney General Scott Pruitt. Among other things, the committee will develop a reform package that addresses public safety issues and targets crimes associated with illegal immigration. As part of the effort, the group will also consider proposals to better protect taxpayer money from subsidizing illegal immigration. Throughout the process, the special committee will seek input from private citizens and organizations. Today state Rep. Jason Nelson filed amendments to the Lindsey Nicole Henry Scholarships for Student with Disabilities Program Act. Nelson filed House Bill 1744, which makes changes to the program created last year by House Bill 3393. The amendments expand school choice options for special-needs students and provide increased accountability. The most significant change is placing the State Department of Education, rather than school districts, in charge of the scholarship program. “I can assure you that the amendment language I’ve introduced today is not the final draft of the bill,” Nelson said. “I held two interim studies this summer when the law went into effect to listen to ideas to make the program better, and I will continue to listen as the bill move through the legislative process. 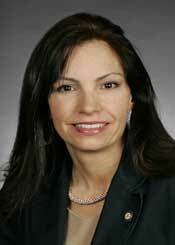 House Bill 1744 can receive a hearing soon after the Oklahoma Legislature convenes in session on Feb. 7. I issued the following statement today after Attorney General Scott Pruitt threatened legal action against schools that disobey the Lindsey Nicole Henry Scholarships for Students with Disabilities Program Act, which provides scholarships to students with special needs. The AG letter (attached) went to the Broken Arrow, Jenks, Union and Liberty schools. “I think that the remaining school boards have had more than enough time to change their position in favor of the law and clearly Attorney General Pruitt thinks so, too. “It was the stated intention of the school boards to end up in court over House Bill 3393. Judging from the letter from Attorney General Pruitt, it appears that these board members and their superintendents may get their wish – but for a much different reason than they anticipated. “I'm hopeful that the four school boards that are currently in noncompliance will revisit their position soon and follow the Tulsa, Owasso and Bixby school boards in reversing the votes they cast last fall. If they do not, I fully support the Attorney General pursuing legal action against the school board members and superintendents to the fullest extent of the law. "Over the past several weeks, I have urged the school districts defying state law to reverse their positions. Attorney General Pruitt and I have consulted on this serious matter. I am pleased that Attorney General Pruitt has now weighed in and taken this action today, bringing the full weight of state authority to bear in this matter. The school districts that have acted in defiance of state law have now been given the chance to do the right thing. They should take immediate action to reverse their positions, and I urge them to move forward quickly." Here is a scanned copy of the letter from Attorney General Scott Pruitt. The Tulsa School Board voted unanimously this evening to process all future Lindsey Nicole Henry Scholarship applications. This is good news for those parents whose hopes of placing their children in other schools using the scholarship were dashed last fall when the board voted to only process the first six applications. The board made the right decision this evening. I look forward to working with superintendents and board members that are willing to sit down and discuss the concerns they have with the scholarship program in a rational way. I will be filing legislation later this week in an effort to improve the law. I'm sure there will be things included in the bill that will make some people happy and some people mad but it will serve as a starting point for, hopefully, a sincere, constructive discussion over the next four months of the legislative session. School districts in the Tulsa area that are refusing to implement a new state law continue to cite senseless arguments as the basis for their actions. "Which is more important, the (state) Constitution or recently enacted laws?" Jenks Superintendent Kirby Lehman said in a written statement. "That is the dilemma currently faced by school board members and other school officials in Oklahoma." "We are convinced that it is more ethical and responsible to follow the laws already in place," Union Superintendent Cathy Burden said. One of the more troubling arguments against the law is that "school systems may resist placing students on federal individualized education programs" to keep them from qualifying for the scholarship so the district can keep the money. This absurd refrain from these school boards and their superintendents that the law is unconstitutional and therefore they are faced with a dilemma - follow the law or follow the state Constitution - has been so completely refuted that you begin to wonder about their competence. The Tulsa School Board will reconsider their vote to ignore state law this Tuesday. If Tulsa votes to implement the program they will join Owasso and Bixby who reversed their earlier votes to ignore state law. A plan to consider moving the administration of the program to the state Department of Education this legislative session is the stated reason for their willingness to now do their job. But no matter what changes are made some will not be satisfied until special-needs students and their parents lose the opportunity that this program provides. Burden said the proposed amendment still wouldn't solve the problem. "It is unconstitutional in the state of Oklahoma to send public dollars to a parochial school," she said. Superintendent Burden will certainly be surprised to learn that public schools have for years paid to place some students that are on Individualized Education Programs in private schools - including religious schools. The main difference is that in the past it was at the discretion of the school district. With HB 3393 parents have the opportunity to decide. In an October 11, 2010 post on this blog I explained that House Bill 3393 is constitutional based on well-established case law. "It is well established case law that a legislative act is presumed to be constitutional and will be upheld unless it is clearly, palpably and plainly inconsistent with the Constitution. The Oklahoma Supreme Court has consistently held that statutes should be construed whenever possible so as to uphold their constitutionality. There is no indication that the provisions of HB 3393 are plainly inconsistent with the Constitution. While the specific provisions of HB 3393 have not yet been reviewed by any court, other scholarship programs that were 'neutral' or 'of direct benefit to students' have been upheld by the Supreme Court and other courts." "You state, based on news accounts, that the boards' stated reasons for non-compliance with the statutes are concerns for the statute's constitutionality in several respects. This letter does not address the constitutionality of the statutes. Rather, we explore whether a public entity may legally refuse to comply with State law based on a unilateral determination that the law is unconstitutional." The letter from Assistant Attorney General Gay Tudor next addresses the argument of these school boards that the law is unconstitutional. "First, Oklahoma's Supreme Court has enunciated the well-established principle that a statute is presumed constitutional. 'A heavy burden is cast on those challenging a legislative enactment to show its unconstitutionality and every presumption is to be indulged in favor of the constitutionality of a statute.' Fent v. Okla. Capitol Imp. Auth., 984 P.2d 200, 204(Okla.1999)(citation omitted)." The letter from Ms. Tudor then turns to the actions of the school boards in question to unilaterally determine that the program is unconstitutional and refuse to implement the law. "In light of this presumption in favor of the statute, the next question is which branch of our scheme of government has authority to make a determination regarding the constitutionality of a legislative act. According to the Oklahoma Supreme Court, 'The Court alone has the power to authoritatively determine the validity or invalidity of a statute.' York v. Turpen, 681 P.2d 763, 767(Okla. 1984)(citation omitted). Citing the doctrine of separation of powers, the Court determined that to make an opinion of the Attorney General as to the unconstitutionality of a statute 'binding upon state officers prior to judicial intervention is an unwarranted encroachment on the power of the legislature to determine policy. . .'. Id. It follows that the board of a school district lacks authority to make that determination." The letter makes it clear that it is the responsibility of a school board to obey the law even under the current circumstances. "Disagreement with the legislative policy or concerns over the statute's validity do not relieve any public employee or official of their responsibility absent a determination from the court." So the questions remain, why do these school boards and superintendents believe they are above the law? Why are members of only five school boards out of more than 500 choosing to violate the law and their oath? What are these school boards doing to improve special education in their district so that parents and students don't want to leave? Why did the boards wait until after the law was in effect and after many parents had already transferred before voting to ignore the law? Their stated reason for ignoring the law and their oath simply doesn't make sense in light of the facts. Are Lindsey Nicole Henry Scholarships taxable as income? Tulsa Public Schools has reportedly told the parents of six students that the Lindsey Nicole Henry Scholarships are taxable as income. The six students' scholarship requests were processed last October as part of a limited group approved by the school board. This effort to confuse and raise doubts about the program in the minds of parents is not new. This specter was raised during the debate on House Bill 3393 during the 2010 legislative session. It seems parents were led to believe that the Lindsey Nicole Henry Scholarship Program is a Qualified State Tuition Program - which are 529 college savings accounts. Lindsey's Law is not a 529 college savings account. To my knowledge the IRS has not considered any scholarships from programs similar to Lindsey's Law to be taxable. And there are currently a number of scholarship programs around the country - some have been in place for more than a decade. Oklahoma was the sixth state to pass a special-needs scholarship program into law. Here is some information that was provided to me as I researched House Bill 3393 last spring. I'm passing it along as general information - not as tax advice. Eligible educational institution. An eligible educational institution is one that maintains a regular faculty and curriculum and normally has a regularly enrolled body of students in attendance at the place where it carries on its educational activities. · Course-related expenses, such as fees, books, supplies, and equipment that are required for the courses at the eligible educational institution. These items must be required of all students in your course of instruction. You will find this information in IRS Publication 970 on the IRS website. This should clarify any confusion created by school officials comparing Lindsey's Law to a Qualified State Tuition Program - 529 college savings accounts (see IRS Publication 525). I encourage parents to read the IRS information, draw your own conclusions, and consult a tax attorney for tax advice on your specific situation. I am not a tax attorney, but I can read. After reading information from the IRS, it is clear to me that K-12 tuition scholarships are not taxable regardless of what parents may have been told.